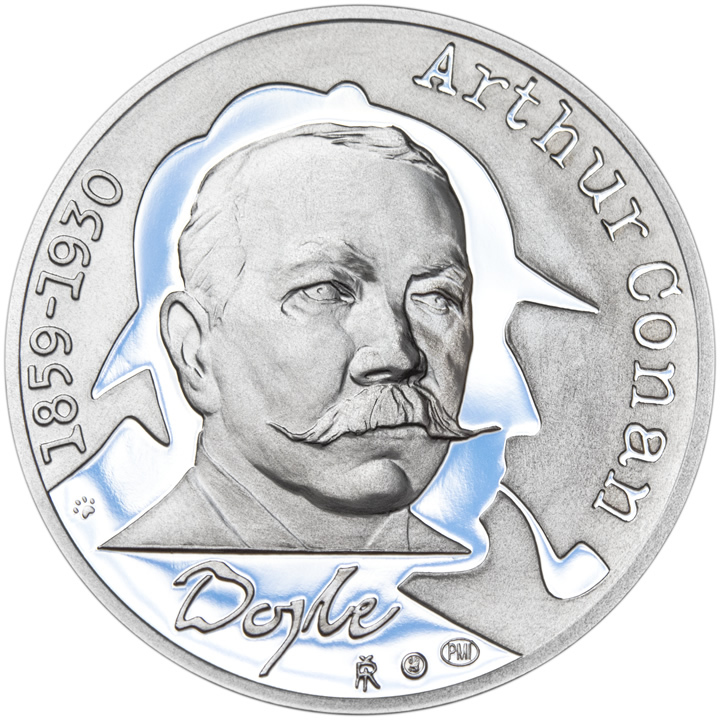 May 22, 2014 marked the 155th birthday of Sir Arthur Conan Doyle. The Prague Mint, located in the Czech Republic decided to honor this event by striking a silver commemorative medal in two different finishes. 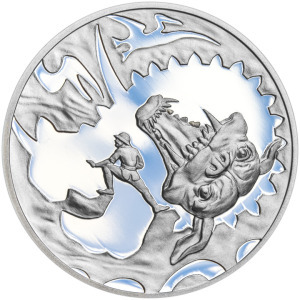 Sculptor Ivan Rehak came up with a quite striking design for the medal. 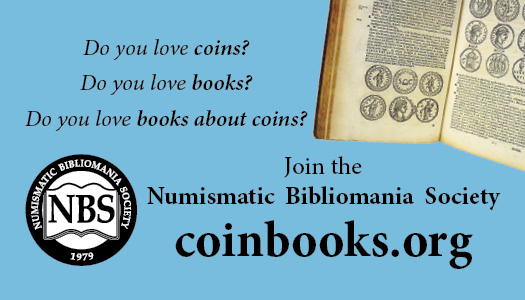 The medals come in a presentation case and also have a certificate of authenticity. The medals can be ordered at this website. 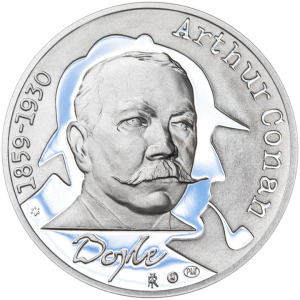 While I have described the character on the reverse of this medal as Sherlock Holmes, per the Prague Mint’s website, it looks more to me as Professor Challenger (sans beard) of The Lost World fame. I disagree with their description – it appears to me to be a pith hat being worn instead of a deerstalker and I just cannot picture Holmes rolling up his coat sleeves. I can picture Professor Challenger in that setting, however.